Metal bellows are designed to extend when under a vacuum or compress when pressure is applied externally. The metal bellows return to its original form once the vacuum or pressure is released. A metal bellow will not recover if it has been stressed beyond its designed yield strength. 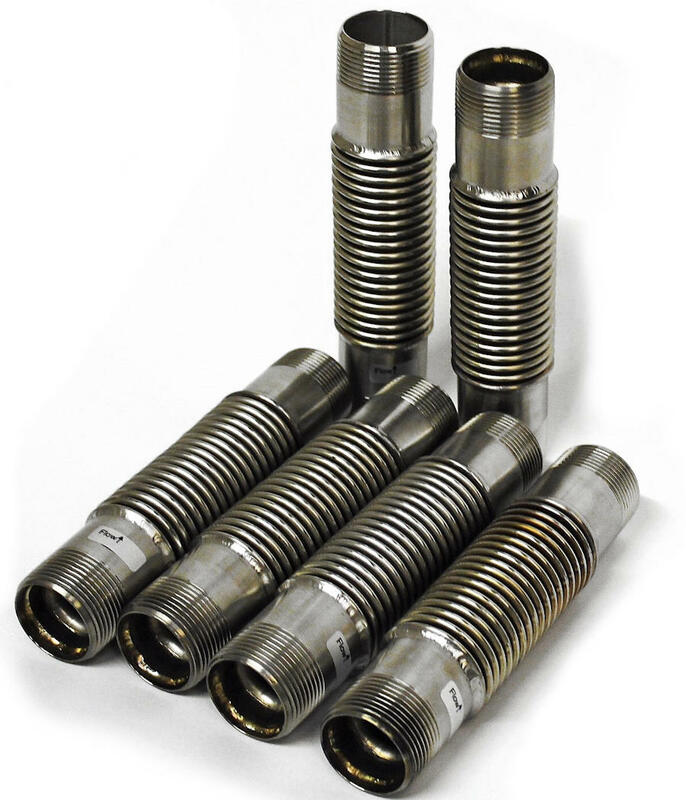 KMK Compensators supply high quality metal bellows for metal expansion joints (AKA compensators). They compensate for thermal movements and vibrations found in pipelines in oil and/or gas production and industries such as paper and chemical producers and water treatment centres. Choosing the compensation type is dictated by two considerations. The correct solution for the function and the most cost-effective; remembering to bear in mind the cost of anchors, pipe supports and shaft structures and not just the expansion joints. Absorb substantial movement in an axial direction and are suitable for internal and external overpressure. The expansion joints are usually fitted with two metal bellows and a protective sleeve against internal pressure buckling and are frequently used in pipelines. Compensates for both lateral and transverse movements. Fitted with one or two metal bellows with an intermediate pipe. With hinged anchoring to the connecters on both sides to work with single plane movement or movement in all planes. Angular expansion joints are fitted with metal bellows and connectors on each side to compensate for angular movements and bending. These expansion joints use different anchoring; dictated by single plane movement (hinged anchoring) or movement in all planes (gimbal mounted anchor).